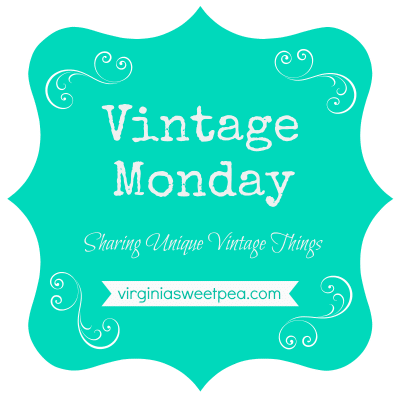 Welcome to Vintage Monday. 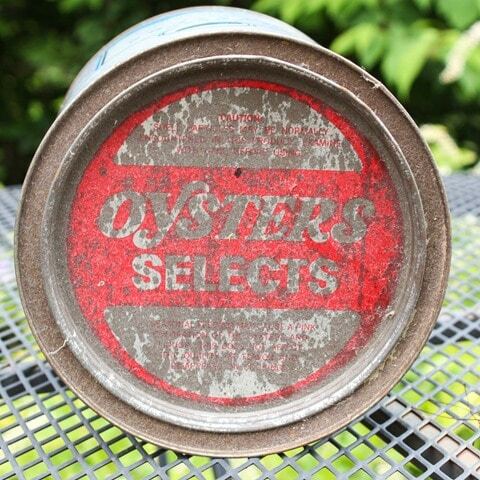 Today’s topic is Vintage Oyster Cans. My mom used to own a beach cottage and part of her kitchen décor included these oyster cans. 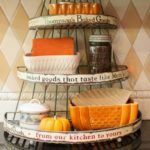 She grouped them on top of her kitchen cabinets along with large shells and mason jars filled with sand and shells. It was a pretty display that we enjoyed very much. 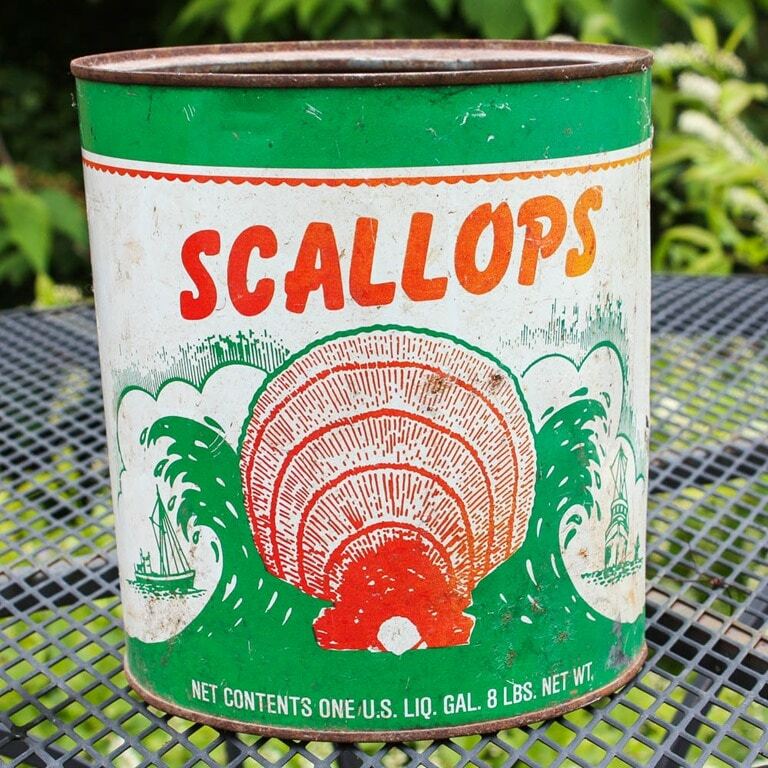 Mama sold her beach cottage a few years ago and on the final move out day, these cans wouldn’t fit into her stuffed-to-the-brim station wagon, so they came home with me. I once used them for a beach themed mantel display but other than that one use, they’ve been on a shelf in my basement. 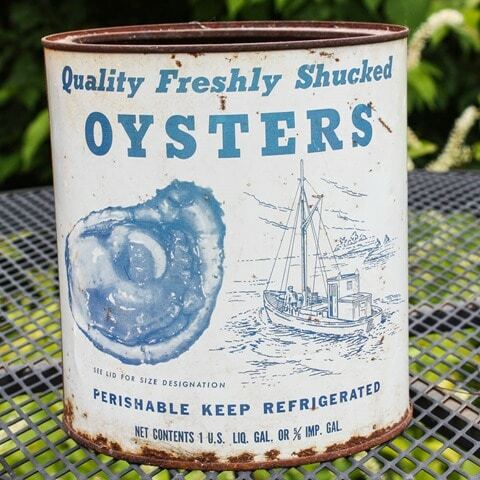 My mom has more oyster cans stored in her basement that she didn’t use for decor at the beach. One of these days I may share those with you as well. I had a feeling that these cans might be somewhat collectible and I was correct. 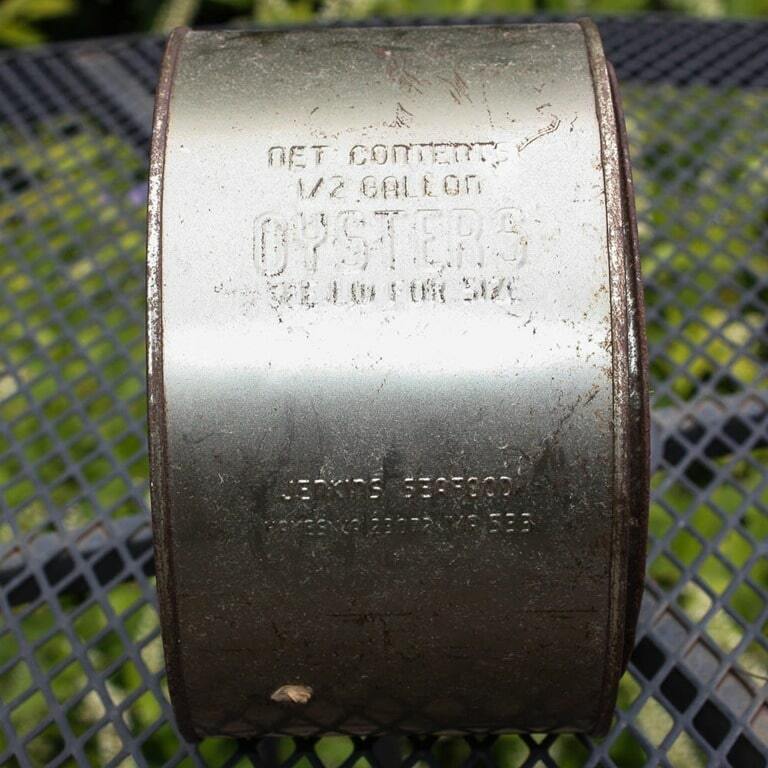 You can find many oyster cans for sale on both eBay and Etsy. This gallon can is my favorite because I like its sailboat and sun graphic. This is what the side of the can looks like. This is the top of the can. Many Virginians have oysters on Christmas Day and my family is no exception. This tin was certainly purchased for Christmas who knows how many years ago. If I had to guess, it first belonged to Page Harris, my grandmother’s cousin. 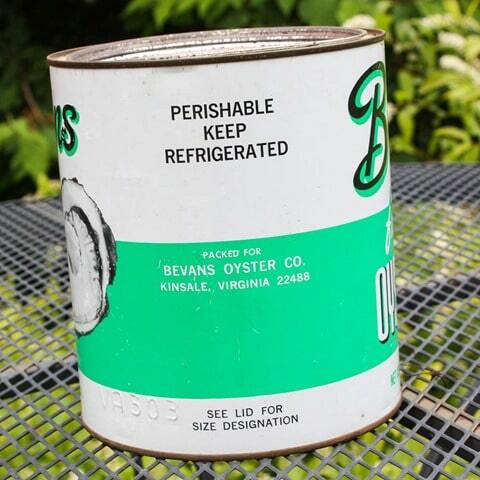 When Page’s wife died, there was an auction and I am pretty sure that Mama purchased this tin there. I found the same can on eBay that sold for $75. One is currently in auction and at the time that I write this the bidding is at $68.50. Next up is a Bevans Fresh Oysters Can. 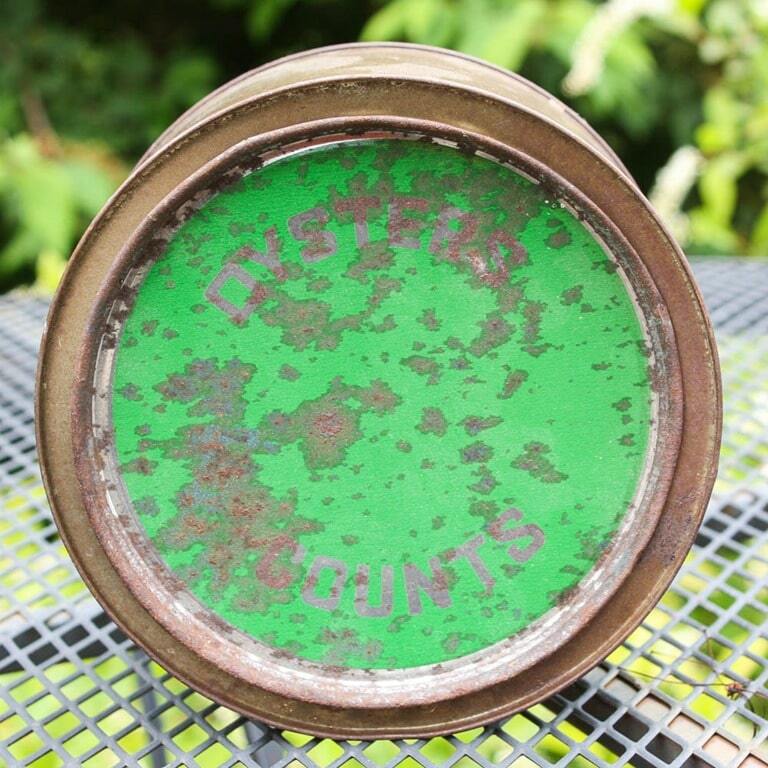 I found a can identical to this one on eBay that sold for $94. 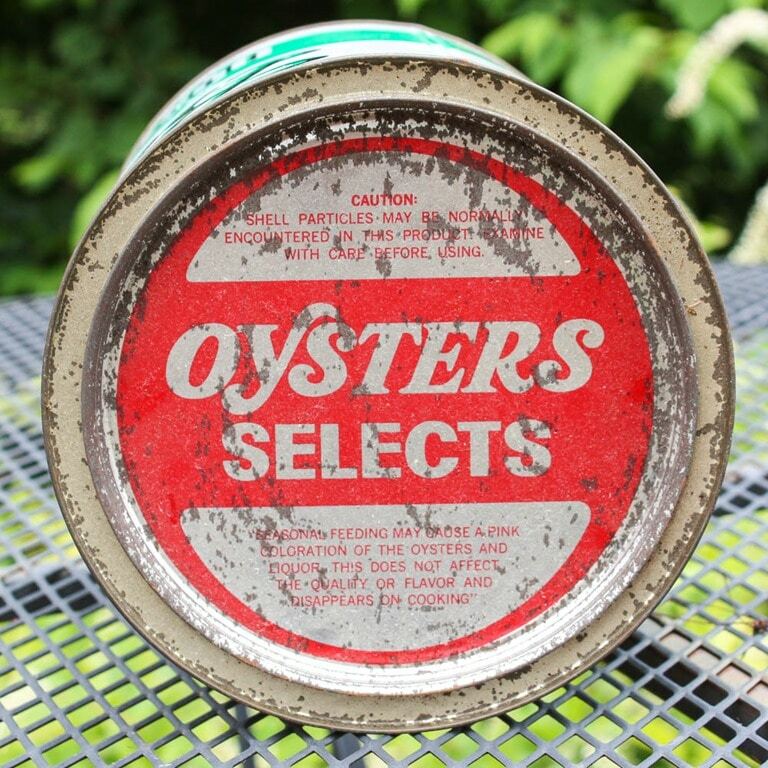 These oysters were canned and distributed in Kinsale, VA which is in Westmoreland County. 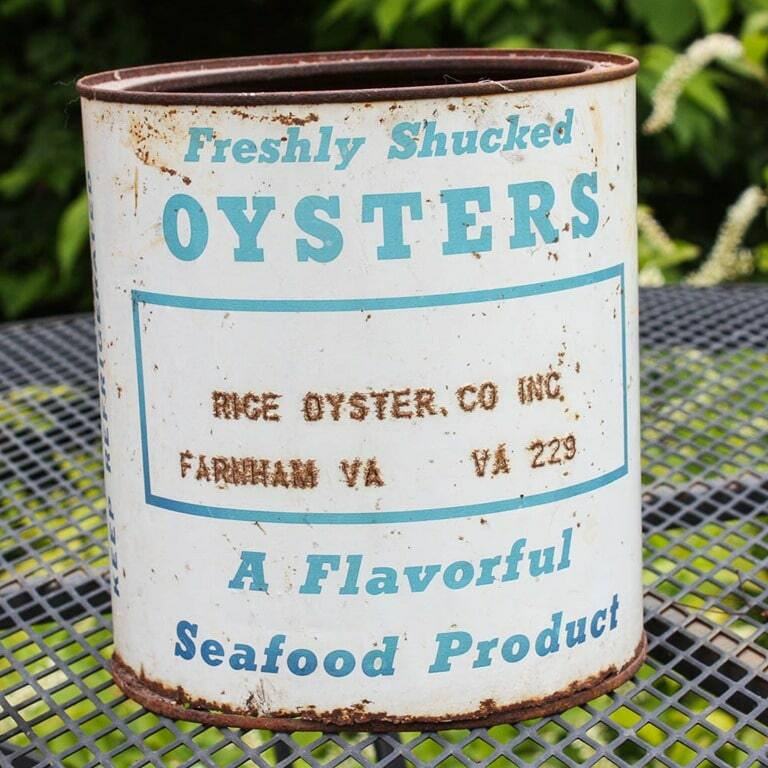 This oyster can is from Rice Oyster Company in Farnham, VA. Farnham is in Richmond County, and is located between Tappahannock and Irvington. A can in better condition than this one sold on eBay for $30. This one has no lid. This half gallon oyster can isn’t as decorative. 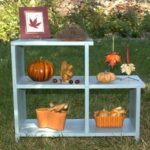 It is a great size for storing something and I wonder if it was kept for storing nails or screws. 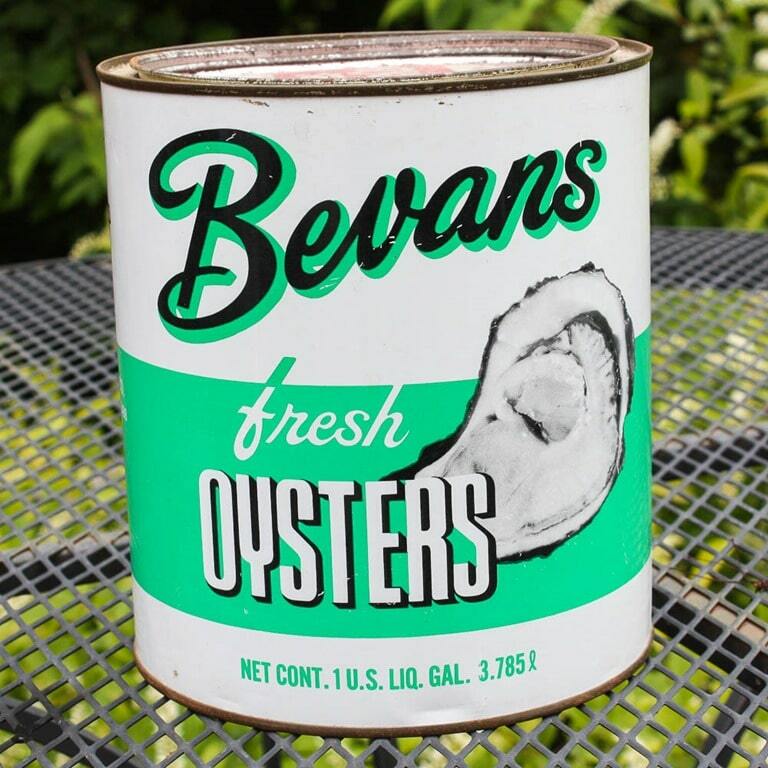 This can is from Jenkins Seafood in Hayes, VA. Hayes is in Gloucester County. 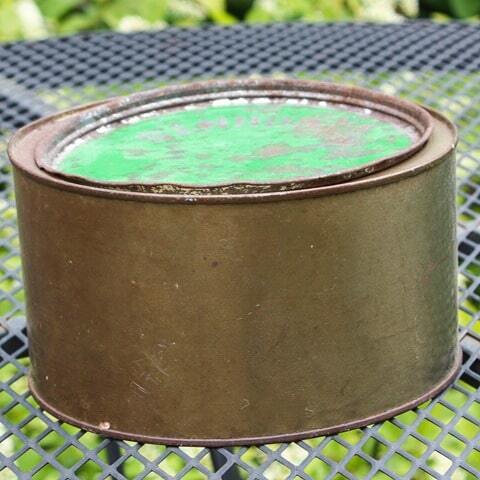 A similar can sold on eBay for $13. 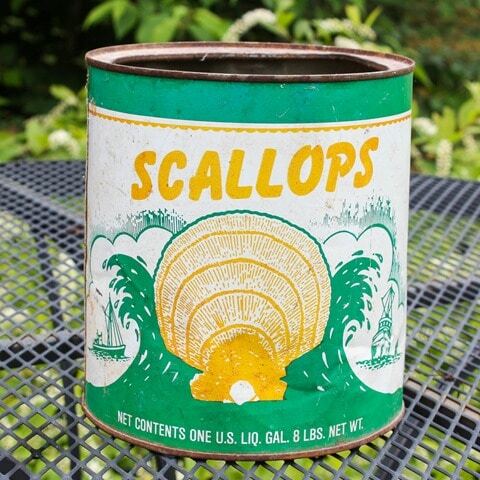 Along with the oyster cans, Mama had a scallop can in her collection. 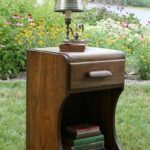 I found one in better condition for sale for $50. This is the other side of the can. 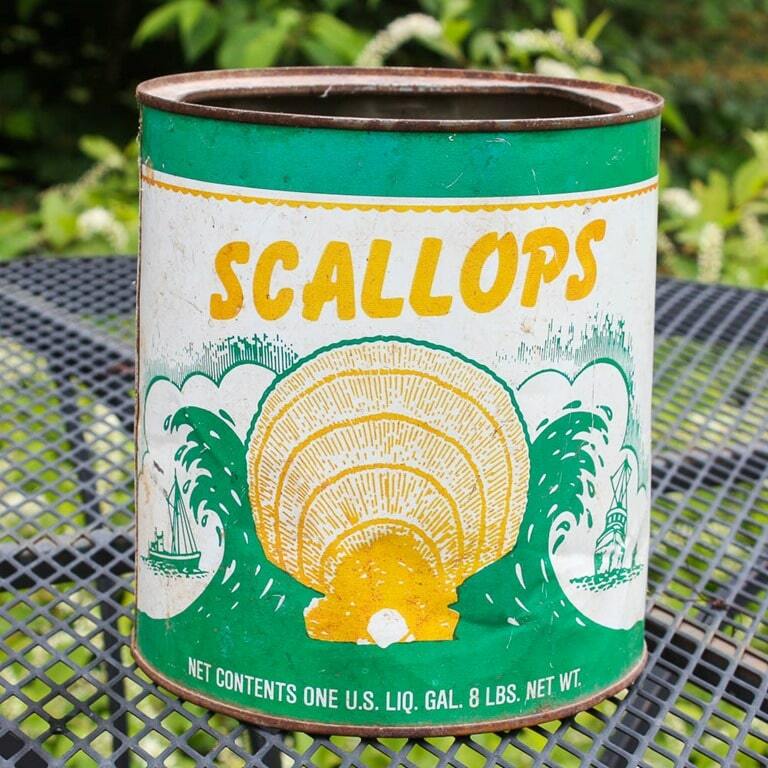 Wouldn’t I love to have a gallon on scallops to cook? Yum! 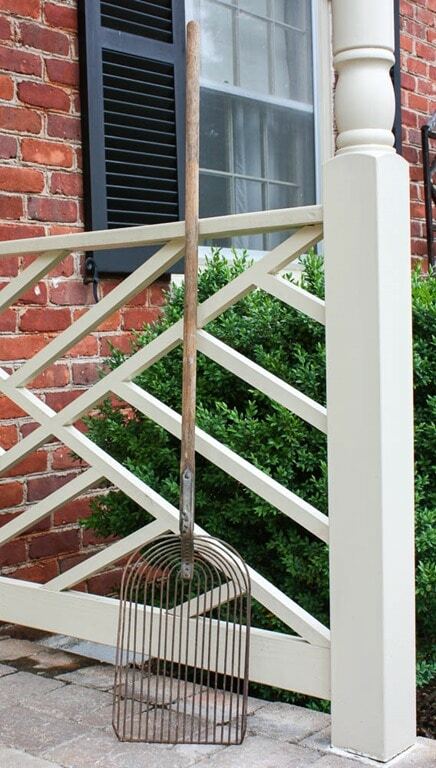 Mama also had this tool at the beach house. 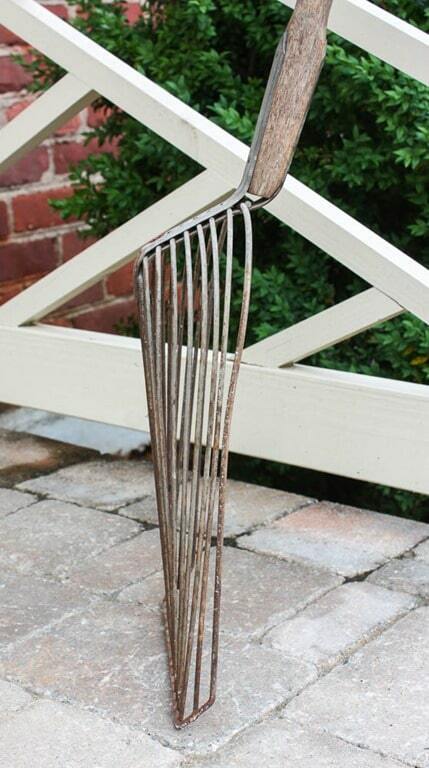 I think it is a shovel used to dig for clams but I am not sure. Anyone know? I don’t care for oysters, but I probably would have bought them just for those tins! They are gorgeous. 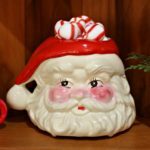 I was surprised that some of them sold for so much. I might take the one with the boat on it to the lake for decor. 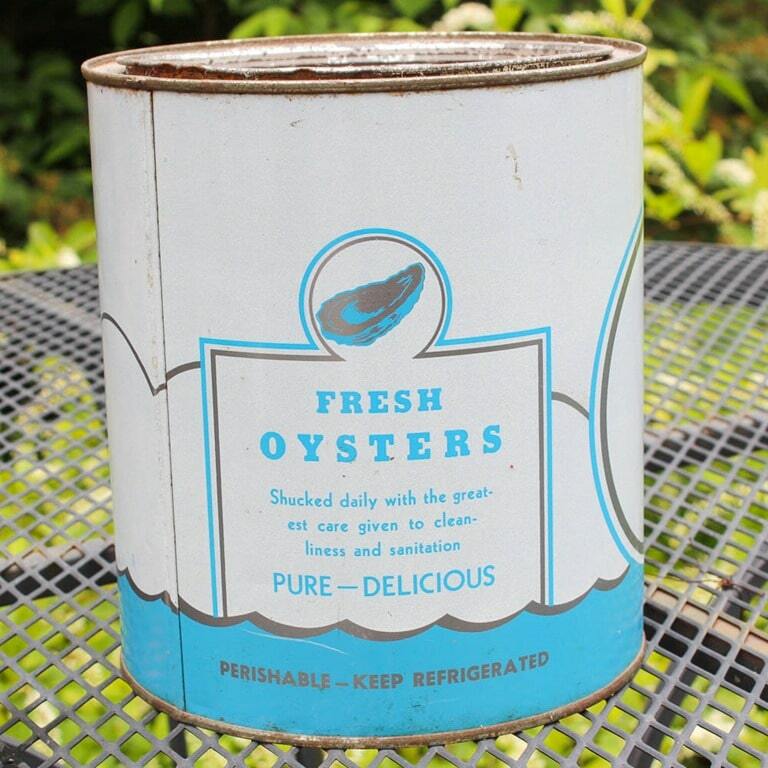 Oh, this was a fun post to me as I had no idea you could buy canned oysters… The vintage tins are so pretty. 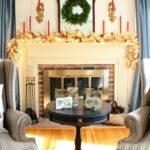 In Virginia oysters are a very popular Christmas tradition. Many families buy them by the quart or gallon. I usually see them for sale in quart jars now. I’m not sure how my mom got started with this collection. 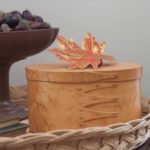 It was fun for her to look for them while she had her beach house because they made great decor there but now that she doesn’t have it, they are just taking up space in our basements. That doesn’t mean that she is getting rid of them. 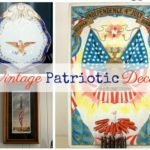 We like our vintage things and don’t like to part with them! These are so fun, Paula! 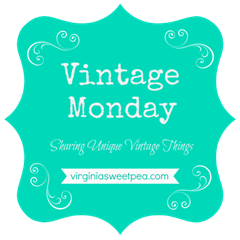 Thanks for sharing @Vintage Charm–pinned! 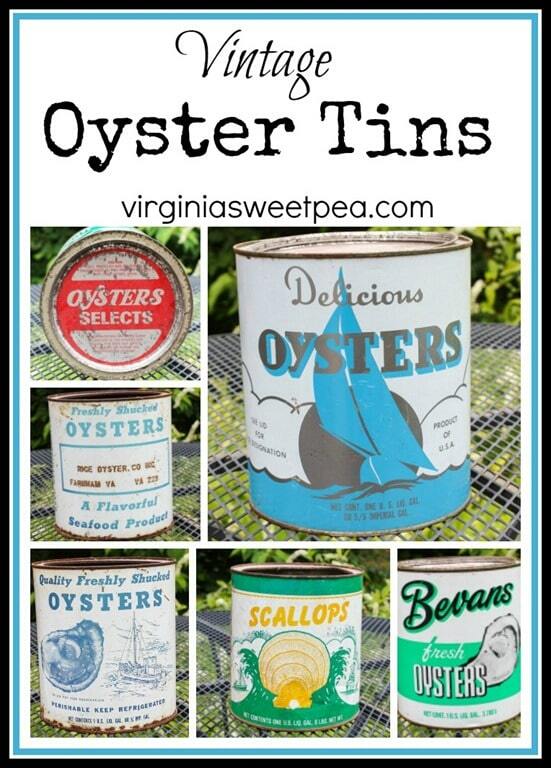 Those tins are perfect for a beach house! They’d look good anywhere, what a special collection too. Love that you have family history in them. 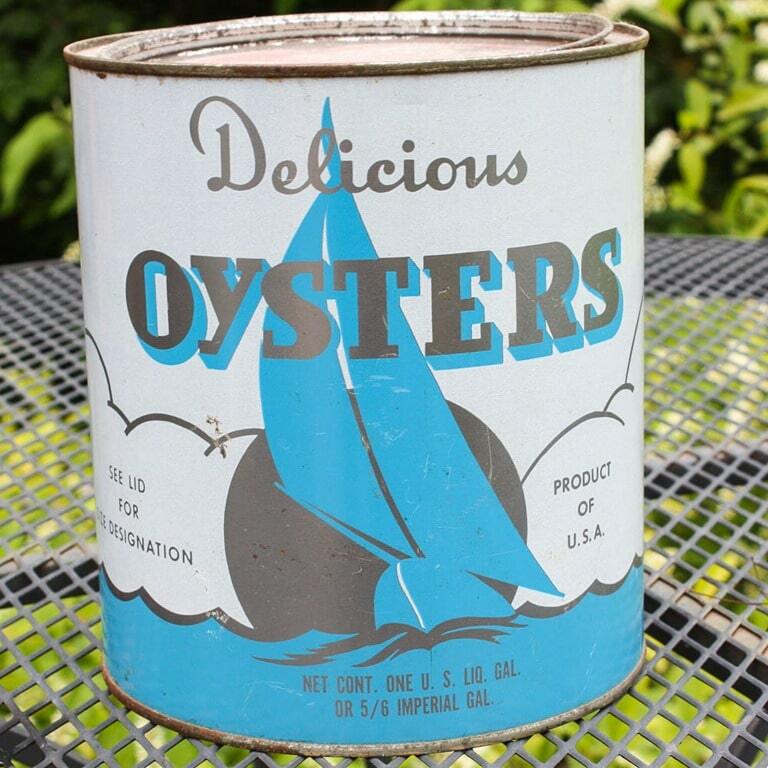 Hello, I am looking for a tin like the one with the sailboat but with a stamp that says Leroy jester, franklin va. He was my grandfather! I’m very interested in the Rice can. It was my wife’s family’s oyster company. Hello, David! The can belongs to my mom. 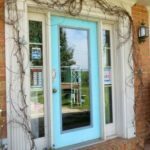 I will ask her if she is interested in selling it.